Social media has been growing exponentially over the past decade. It’s a great resource to catch up on breaking news, follow the latest trends, or to share pictures, videos, and personal sentiments. It’s also a great resource for businesses of any type or size to use in their marketing campaigns. Although there are paid versions to manage many platforms, social media accounts are free to use. With social media, a business can reach their specific target audience and can even help generate traffic to your website. With multiple platforms available, some time should be spent considering which social media platform could best help your specific business. So how do you know which site to use? 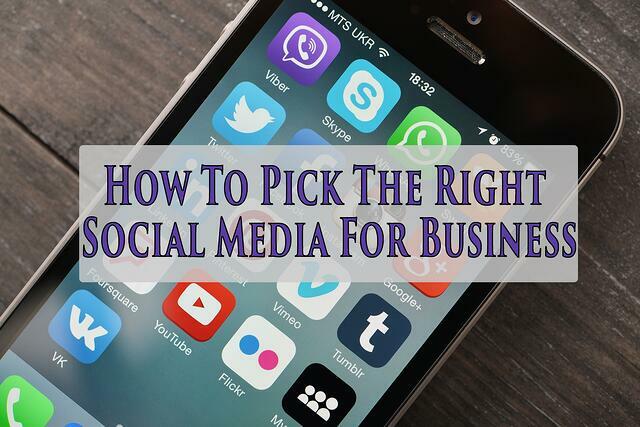 Let's dig in to how to choose the right social media for business. From all the social media platforms available, Facebook is the biggest when it comes to the total number of users. As of July 2016, Facebook has 1.71 billion monthly active users, according to the strategic insights at Zephoria. Of those 1.71 billion, 1.13 billion log into Facebook daily. The sheer volume of daily active users gives businesses ample opportunity to connect to their audience. Facebook is a great option for businesses who are looking to tap into their audience quickly and efficiently. Facebook allows businesses to target in a multitude of ways, meaning you can find your audience both by their preferences and location. For this reason, it s a great option for both online and brick and mortar businesses. The downside of this platform is that more and more, Facebook impressions by businesses require "boosting" or ads to be placed. This means that you will need to spend some money just to get this audience to see your content, promotions, and offers. 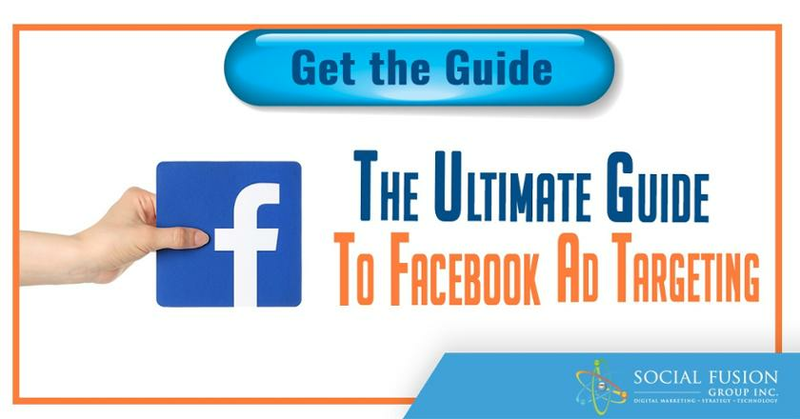 For a guide on the Do’s and Don’ts of Facebook, check out Hubspot’s guide here. Twitter is a great social media site to share photos, videos, and links. With over 100 million logins per day and an estimated 1.3 billion registered users, Twitter is one of the top performing social media sites. Although limited to 140 characters, Twitter is great for customer engagement and interacting with your target audience. Twitter users select a handle or user name and mentioning someone's username within your tweets shoots a notification to the person who was mentioned, providing an opportunity for engagement with influencers and customers alike. Another great tool to interact with your target audience are hashtags, which are like keywords that are preceded by a hash or pound sign to help amplify posts. With the ability to reach a wide range of audiences, Twitter is a great tool to add to your customer support system. Having an active profile allows the customer to seek help through your Twitter page. Companies that use Twitter for support include JetBlue, Uber, and even Nike. These brands frequently interact on Twitter with customers who have had both good and bad experiences, and have been known to rectify some of these negative experiences in front of the whole Twitterverse. What a powerful opportunity to show your customers that you care! Twitter is a great option for businesses who are looking to reach influencers and create general brand awareness. While it may be a good option for web-based businesses who are looking to attract wide-scale attention, brick and mortar stores may see a slower rate of return from their Twitter work. Instagram is a social media tool that has been steadily growing since its inception in 2010. Currently, the platform has 500 million monthly active users, 300 million of those accounts being used daily. The power of Instagram is international, with 80% of its users residing outside of the US. Several features distinguish Instagram from its social media counterparts. First off, Instagram is mainly a mobile application. While their is a web-based version, its functionality is limited and it is not really intended to be used via desktop computing. As such, users post images and videos of everyday life like food, art, travel, and fashion. The application is also known for its photo and video filtering options. Instagram has an artistic niche to its application. It’s different than Twitter, where users post anything and everything. Instagram users typically post artistic shots and aesthetically pleasing images. Depending on your business, this could either be a great opportunity for you, or a gigantic waste of time. Some businesses that would work well on Instagram would be those who have strong visual appeal, like a jewelry or clothing retailer. But you can also think outside the box and use Instagram if you are a service oriented business that could capture great before and after photos. For instance, a company who designs closets could use Instagram to show a closet makeover! There are literally hundreds of social media platforms to choose from, but these are certainly the "big three" when it comes to using social media for business. Finding which platform can provide the biggest return on not only monetary investment, but also the time spent is the key to being successful online. This may require some testing, but finding the right platform for your business can exponentially increase the reach of your business and it will certainly be worth it in the long run.